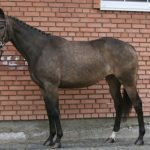 Ukrainian Riding Horse is a relatively young breed of attractive and multi-talented horses with well-established characteristics. 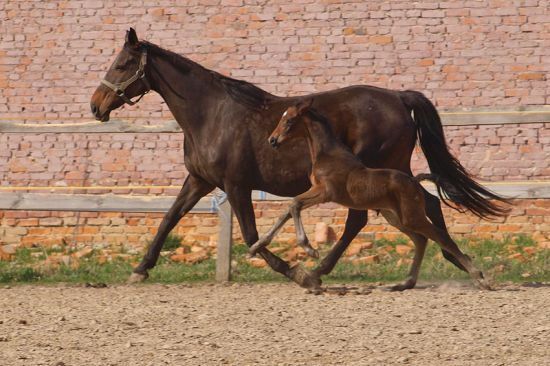 These horses are now developed by using a highly selective breeding program in Ukraine. 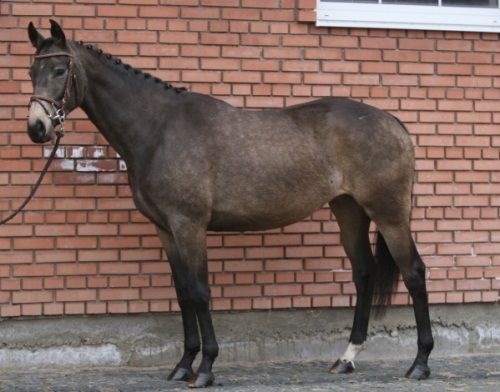 The Ukrainian Riding Horse was produced at the studs in Ukraine after the Second World War to meet the constantly growing need for sport horses. 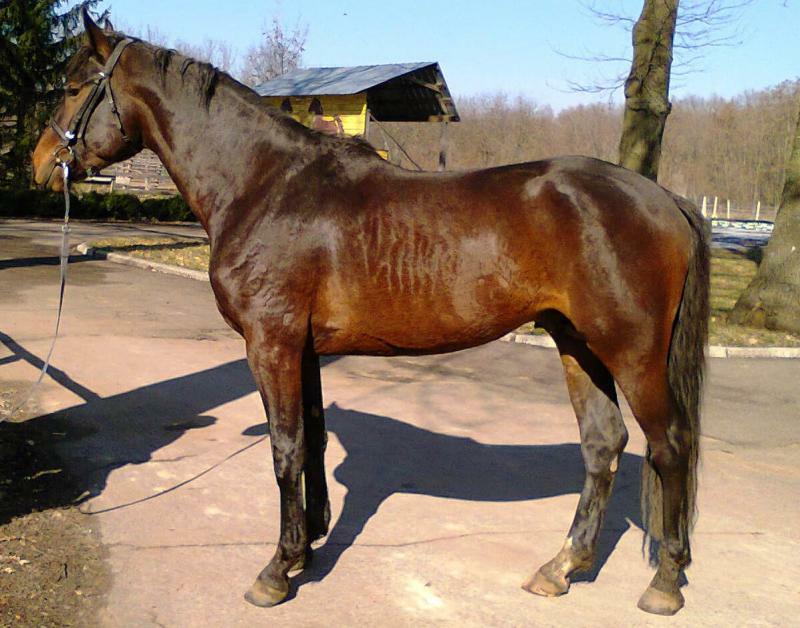 Although the breeding program was first started in Dnepropetrovsk region, it has been continuing over the years at some of the other studs including Aleksandriisk, Yagonitsk, and Derkulsk. 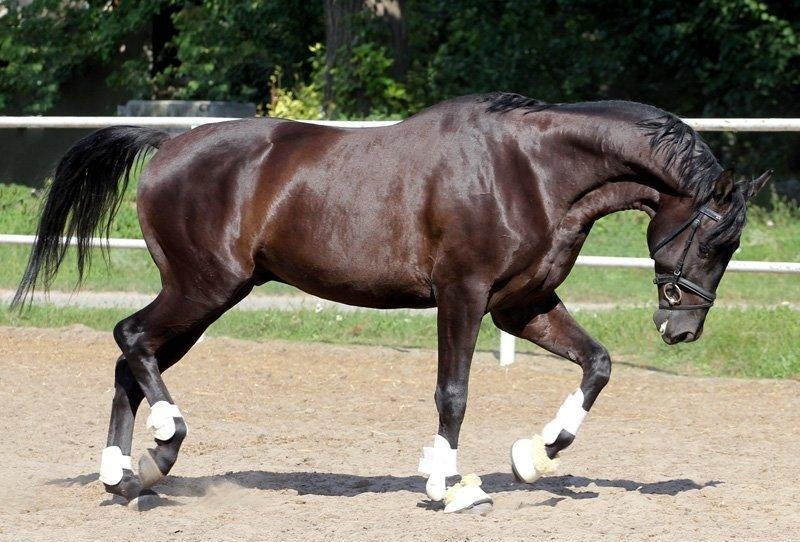 These large saddle horses were developed by crossing Furioso, Nonius, and Gidran mares from Hungary with Hanoverian, Trakehner, and English Thoroughbred stallions. 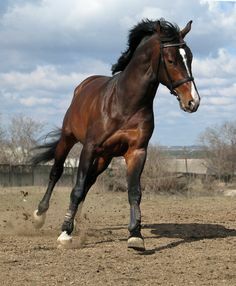 The offspring were interbred, and the Ukrainian Riding-type horses were established. 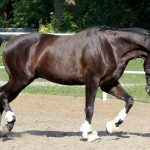 Those that were too heavy were improved with the addition of Thoroughbred blood while those too light in type were refined by crossing with the Hanoverians. 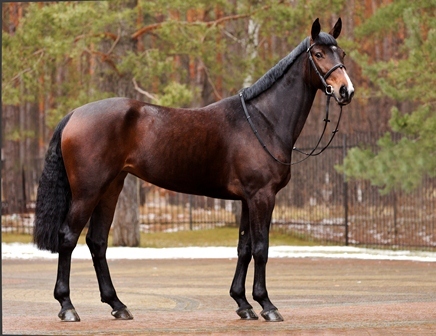 The breeding stock of the now-extinct Russian Saddle Horses was used by some breeders. 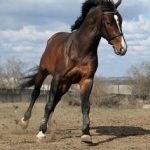 Since these horses are well suited to classic equine competitions and events, they are trained in regulated environments just before the age of two. Only those that do well in performance testing are kept at the stud. 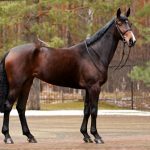 The Ukrainian Riding Horses were used by Soviet equestrians in competitions including the Olympics, European Games, and World Championships.